Vilnius City Council approved the Decision No. 1-1185 regarding the financial support for renewal works of cultural heritage buildings and their environment on 11 10 2017. The municipal support may be up to 50% of all necessary amount. 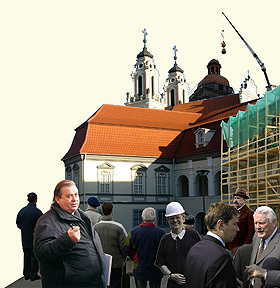 The buildings must be located in the area of Vilnius Old Town – UNESCO world heritage site. RESIDENTS AND OWNERS OF CULTURAL HERITAGE BUILDINGS ARE INVITED TO APPLY FOR THE FINANCIAL SUPPORT TILL OCTOBER 1ST, 2018. House owners of Vilnius Old Town area can be financially supported according to the part of Vilnius Old Town Revitalisation Programme “Community Development“. Aim of this subprogramme is to restore and renew environment and exteriors of the Old Town buildings with a special attention to the restoration of authentic details. Co-operation of municipal and private funds started in 2000. 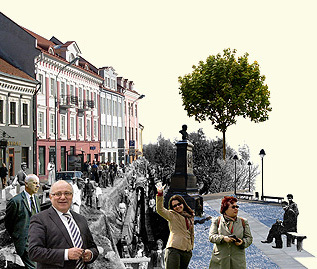 We invite house owners of Vilnius Old Town area who wish to improve their buildings and environment to apply to Vilnius Old Town Renewal Agency for information regarding possible financial support.